slice of life – what will you do now? Go forth and make people miserable! Armed with ‘misery tokens’, make choices and ruin people’s lives! 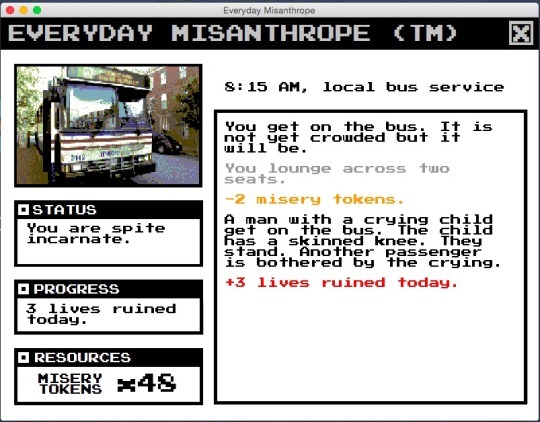 Sarcastic and witty, Misanthrope twists the initial encouragement for your life-ruining into a subtle guilt-trip. In the beginning/middle, the game gives sometimes cruel options – options that people in real life clearly opt for, but at that level of casual cruelty. At first, it’s weirdly satisfying to wreak havoc, but towards the end, the author turns this around by humanising all the people whose lives you have ‘ruined’. 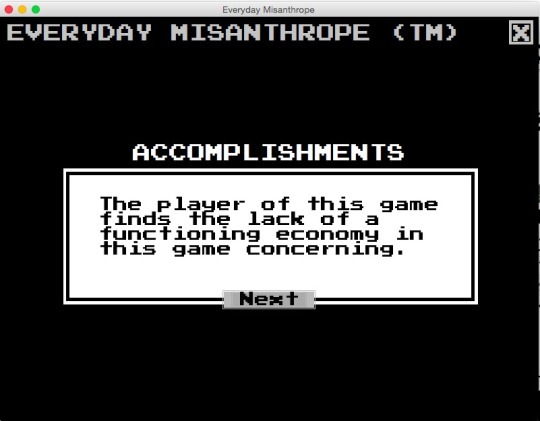 Despite the title, Misanthrope is, in truth, surprisingly compassionate. 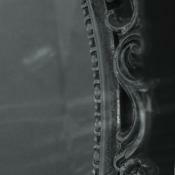 A fairly short game – about 10-15 minutes if you read as fast as I do, with plenty of branching and some replay value.